​Tottenham midfielder Dele Alli is back in training well ahead of schedule, as the midfielder has headed to Dubai in order to step up his recovery from a hamstring injury that is expected to keep him out until March. 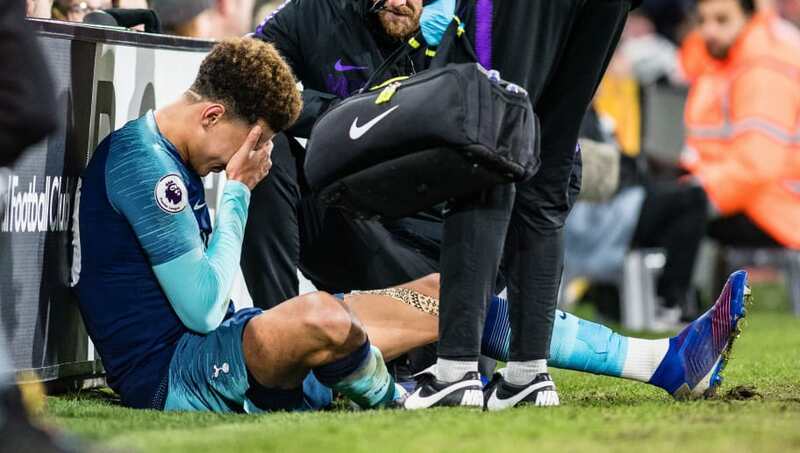 Alli last featured in the 2-1 win over Fulham on January 20th, but took what looked to be a sore one in the second half, and after assessment it was confirmed that it would keep him out for around ten weeks. He wasn't expected to return to full training until early next month, and while that might still be the case, encouraging images and reports have emerged on Thursday of the 22-year-old doing some light ball-work in Dubai, along with a member of the club's physical conditioning staff. He is working through a personalised training plan this week, according to the ​Sun, presumably designed to speed up his recovery, and will head back to London over the weekend to resume normal training. His injury couldn't have come at a more inconvenient time for ​Tottenham, as it coincided with top scorer ​Harry Kane, who is due for a return around the same time, and the absence of Son Heung-min on international duty. Despite all the personnel turmoil, however, Spurs have managed to claw themselves back into the ​Premier League title race, finding themselves just five points off leaders ​Manchester City having played a game less than the defending champions. They face Leicester at home at the weekend, before the first leg of their Champions League last 16 tie with Borussia Dortmund on February 13th.